Published: July 9, 2013 at 07:28 p.m. Updated: July 9, 2013 at 08:18 p.m.
A second Denver Broncos executive is facing drunken-driving charges. 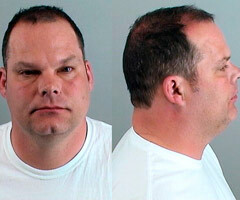 One day after director of player personnel Matt Russell apologized for his weekend arrest, a Douglas County Jail spokesman told NFL.com and NFL Network that Broncos director of pro personnel Tom Heckert was charged with driving a vehicle under the influence of drugs or alcohol, driving a vehicle with a blood-alcohol content of 0.08 or more and careless driving June 11 in Parker, Colo. The Associated Press first reported the arrest, which occurred just over one month after Heckert, the former Cleveland Browns general manager, was hired by John Elway, the Broncos' executive vice president of football operations. Heckert is scheduled for a pretrial conference Aug. 30, according to The AP. Heckert and the Broncos released statements Tuesday, after the news became public, and president Joe Ellis told The Denver Post that he expected severe discipline for Heckert and Russell because of behavior that is "inexcusable, unacceptable and completely embarrassing." "Executives in our company are held to a higher standard," Ellis said. "That's a mandate handed down from the commissioner. One episode is one too many. Two is ridiculous. I understand the outrage in the community, I understand the outrage of the fans. It's justified. We have an obligation to do the right thing. And we will. "The anger and disappointment -- I don't know how else to describe it. We'll deal with this the right way, and we're in the process of doing that. My expectation is the discipline will be severe." The NFL's personal-conduct policy extends to front-office executives, as evidenced by Detroit Lions president Tom Lewand's one-month suspension and $100,000 fine in 2010. Heckert, Russell and the Broncos face potential discipline from the league. We look forward to the start of the season, when players and executives are preoccupied with football.